Leave a message for Bob using the form fields below. If you have any questions, please contact us at (212) 269-7800. For general inquiries, email compliance@ingalls.net. 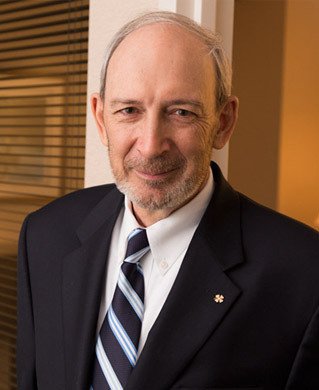 Bob Gipson has been an investment manager with Ingalls & Snyder for over 30 years. Bob invests globally in equity and debt securities, with a focus on identifying special situations where the market price deeply discounts underlying asset and business values. A significant sector focus over the years has been energy and natural resources. Bob manages accounts for individuals, families and charitable entities, and co-manages a private investment fund at the firm. Bob joined the firm in 1982, became a Director in 1990, a Managing Director from 1996 - 1998, and has been a Senior Director since 1999. Bob received a B.S. in engineering from Princeton University and attended M.I.T.’s Sloan School of Business as a graduate student. Bob and his wife reside in New York City and Unadilla, New York. They also travel regularly to Bulgaria, his wife’s native country, to visit family and friends.